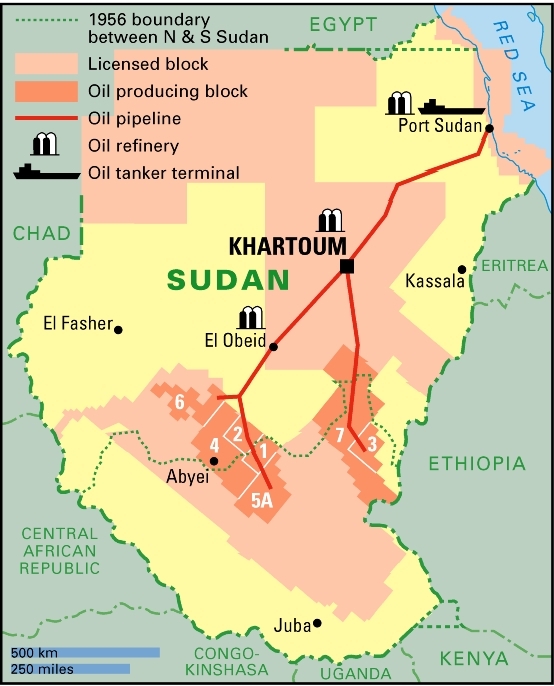 Six months ago, the campaign organisation Global Witness exposed discrepancies in the oil figures for Sudan, raising questions as to whether the revenues were being shared fairly between the North and South of the country. The revenues are important as they under-pin the 2005 peace agreement, which brought to an end one of Africa’s longest-running and most bloody wars. In the peace deal both sides agreed to share oil revenues. However the suspicion held by many southerners is that the North is underreporting the volume of oil produced in order to transfer less money to the southern government than is due under the peace agreement. In response to the allegations, the authorities promised they would address the inconsistencies by conducting an audit. Six months on, that audit has yet to take place. Global Witness has revisited the subject and found that there are still major discrepancies in the oil productions figures. With the Chinese National Petroleum Company producing figures 12 percent higher than those published by the Sudanese government. Rosie Sharpe, from Global Witness, argues the difference of 12 million barrels of oil is worth $370 million and is enough to power a city in the US the size of San Francisco for a year. Global Witness argues that the correct records are fundamental for the stability in Sudan. “The oil money has been the glue that has held the two sides together for the past five years, that is why it is important that we get it right, it is the figures that underlie that power sharing,” said Sharpe. It would be pretty easy to put flow monitoring devices on pipes and pipelines to send the signal to a data collection center and all the oil going anywhere would have s second opinion as to how much was produced. Verification is easy if it really is wanted done.